Kettlebells. 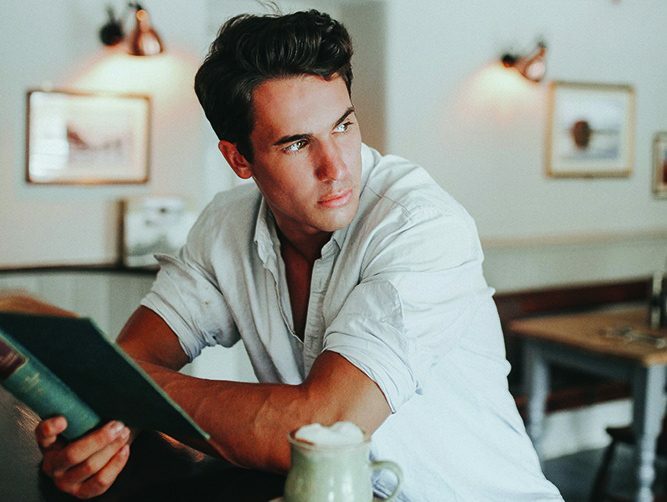 We’re told they’re good for us yet when we look at them like we might as well be reading a book in a foreign language. Unsure how to use them for your benefit? Fear not, we’ve enlisted the help of Kettlebell champion, Anna Plumridge. 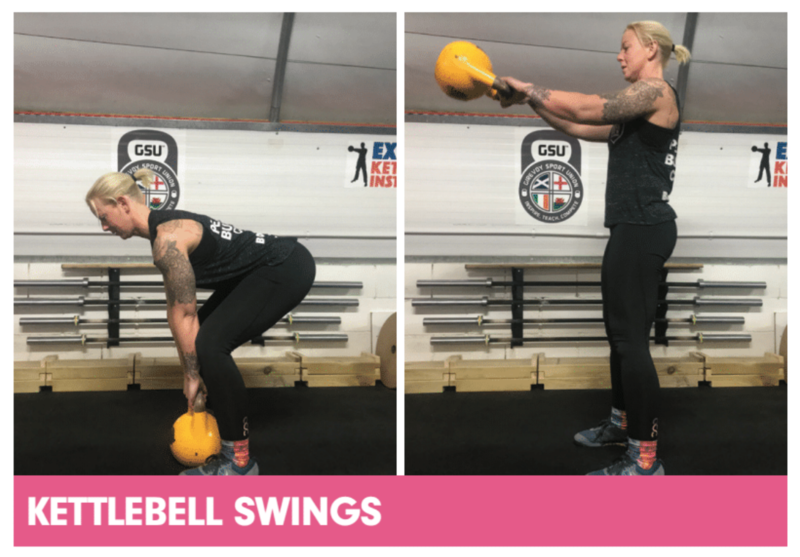 “Using kettlebells, whether for fitness or as a competitive athlete, gives undeniable positive effects on health,” explains Anna, who has been training with kettlebells for six years, and who competes for England, and coaches other athletes in person and online. 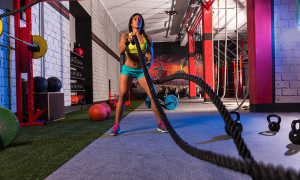 Start with 20 KB swings, then add a round of 10 reps per exercise below. 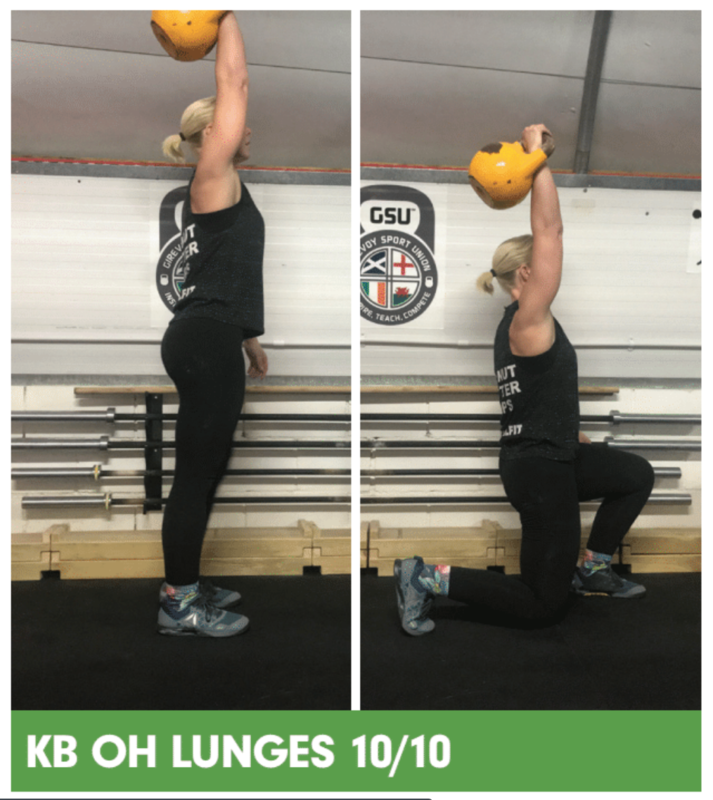 All lifts are carried out for a maximum of 10 minutes, in which you aim to complete as many quality reps as possible without placing the kettlebell(s) on the ground. Whoever has the highest amount of reps is deemed the winner. Simple. Effective. Bosh. There are two movements in the swing; stand with your feet shoulder width apart and hold onto the bell with two hands. 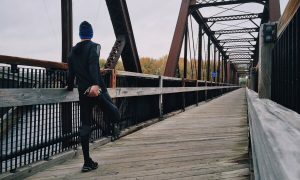 Hinge your hips down and back, and then up and forward, finishing at lockout (like a pendulum). 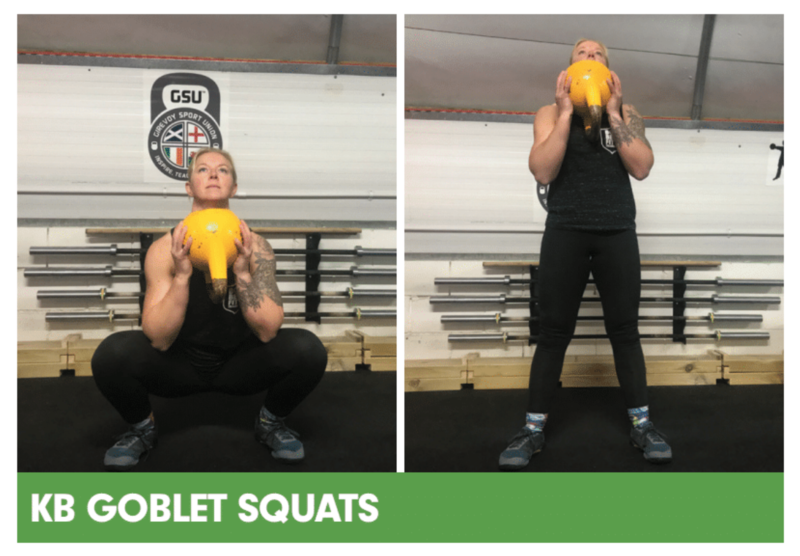 When you lockout the legs your glutes should be tight, abs on, legs tight and kneecaps drawn up, shoulders down and back, and with a big chest and tall spine – the kettlebell should move like a pendulum. It also helps to imagine your feet being superglued to the floor but jumping up with effort to standing. Hold the kettlebell bottoms up and close to the chest. Keep the chest upright, weight through the middle of the foot and sit back into a squat, then return to standing. Place the opposite foot forward to the hand that’s holding the kettlebell. Set yourself in a string position but using the free arm to support on the forward leg. 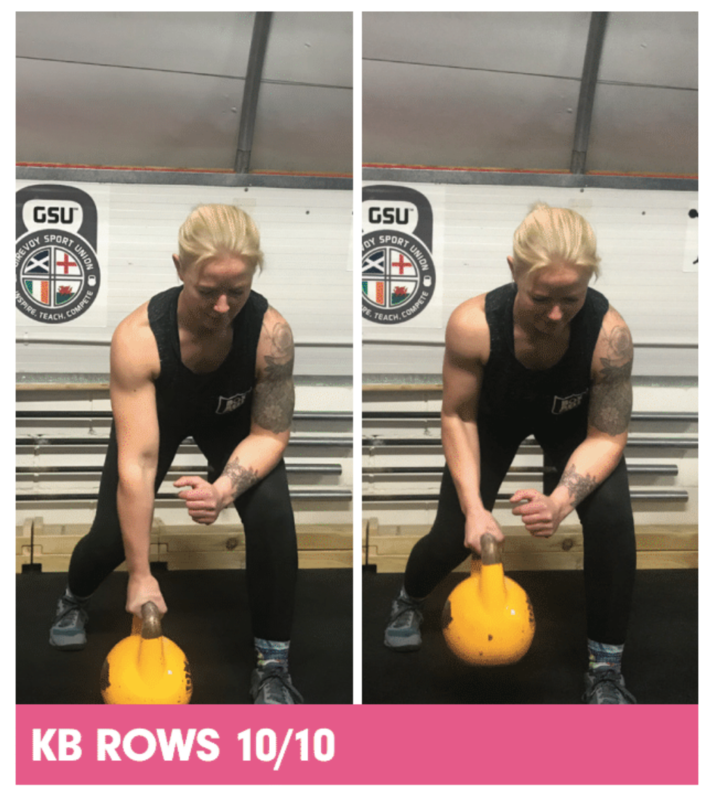 Row the kettlebell, keeping the elbow in and keep a steady pace up and down. 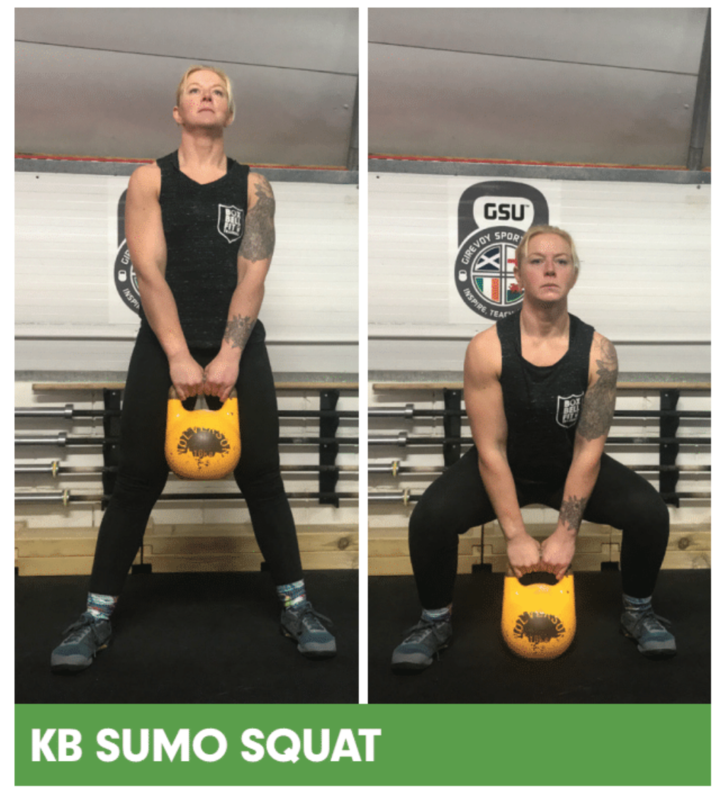 Clean the kettlebell up onto the back of the arm, press it over head so the elbow is locked, arm straight and the weight stacked over the shoulder and hip. Lunge forward with the opposite leg. Take a wide stance with the feet, toes out. With the kettlebell in between the feet and the chest up take hold of the handle. Lift the bell with straight arms and come to standing. Place the kettlebell between your feet in a hip width stance. Hinge forward and push the hips back with soft knees. 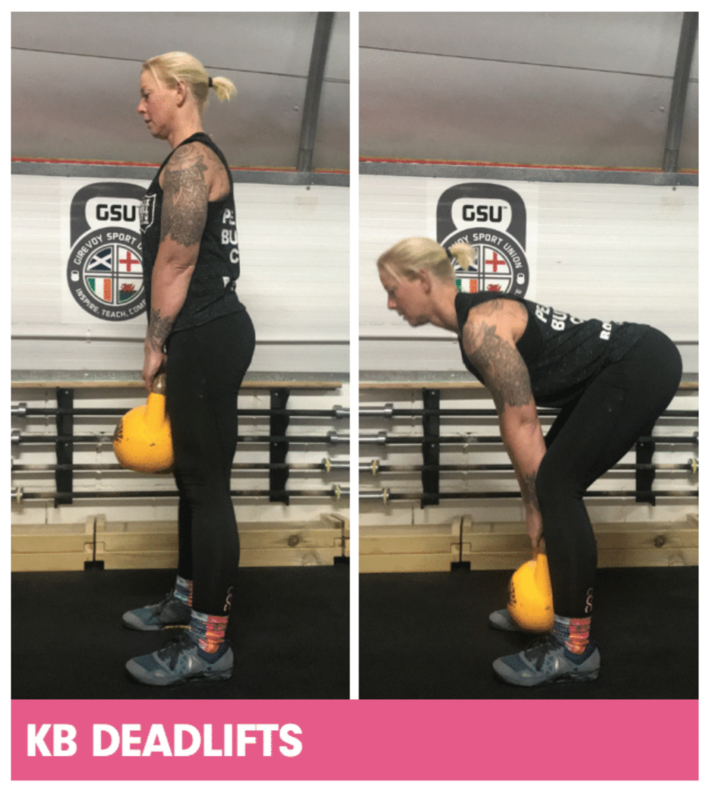 Come to standing and squeeze the glutes, then return the kettlebell back to the floor maintaining a flat back and hinging again from the hips.